Pickup off-roading has become a popular sport with those who enjoy showing their expertise in driving under unique conditions. Many develop this as a hobby and join with other enthusiasts for competition. When driving one’s pickup over rough terrain that is steep, rocky and has other challenges, it helps to develop a technical driving skill that is obvious when engaged in this type of stiff competition. However, in this type of activity it is always important to be prepared for the unexpected. Off-roading in new locations will often result in emergencies where the pickup becomes stuck or otherwise disabled. That is why it is important to have the proper equipment, such as a winch, installed on the vehicle. A winch is a towing device that can be used when your pickup becomes stuck and is composed of a hand crank, a spool and a cable. Mounted on your truck, when hooked to another vehicle, it is easy to pull the disabled vehicle to solid ground. There is a variety of electrical and hydraulic type winches available so it is important to obtain one that fits your particular situation and vehicle. Self-recover winches for off-roaders can easily be put into operation and are built to provide enough towing power to extract the vehicle. This eliminates the time and expense of calling a regular tow truck. Among the winches available are those that require attaching a push bar or new pumper with a winch mount. A hidden winch mount attached to the front or rear of your pickup is also available. This is comparable with a regular towing hitch. Some pickups are manufactured with a front mounted hitch already attached. 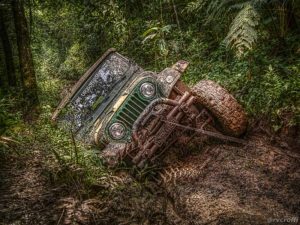 The sport of off-road pickup driving can provide hours of entertainment and fun when the vehicle is equipped with the right winch for emergencies. This activity has become very popular with those who enjoy the thrill of driving in rough terrain.